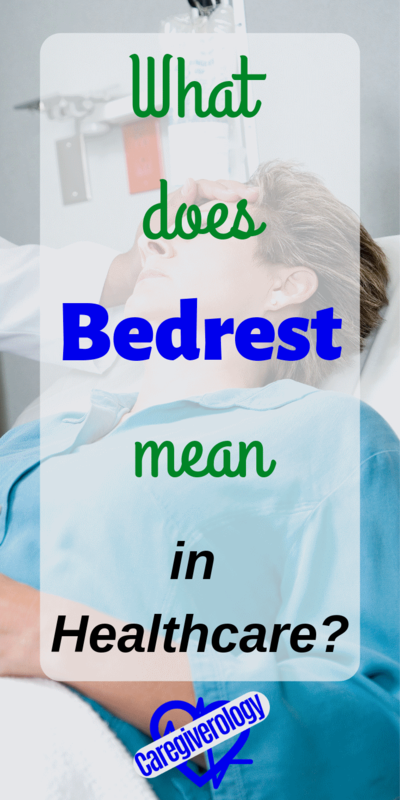 What Does Bedrest Mean in Healthcare? If your patient has been prescribed to be on bedrest, there are a few things you should know. Most of all, they should not ambulate at all, they should be in bed resting, hence the term. Many things should be done much differently. First of all, they should go to the bathroom differently using items such as a bedpan or urinal. It may also be a good idea for them to have a foley catheter in some situations. Some may even obtain a jp drain or colostomy bag if they have had surgery. An incentive spirometer may also be used to help keep their lungs healthy. These things may be awkward for your patient at first, but it's important that they use them. Something you should definitely consider having around is a sequential compression device or ted hose. These can literally be life savers especially for patients that can't get out of bed. Blood clots can form much easier than you realize, believe me, I see them way too often. Another item, would be the bed itself. What kind of bed should your patient be laying on? While many people have their own opinion on this matter, I personally recommend the purple mattress. It's what I have and I absolutely love it. Of course you have to bathe your patient while they are on bedrest. A bed bath is really your only option. This is a long process with many steps but relax, it can be done. When I give them one, I usually change their bed linens as well. Your patient will be extra suceptable to bed sores especially if they are incontinent as well. That is why you should reposition them every few hours and possibly have them wear heel protectors. You should also provide complete perineal care at least once a day including using barrier cream if needed. You should consider any patient on bedrest a fall risk. In order to make sure they don't get out of bed when they aren't supposed to, many beds come equipped with a bed alarm. 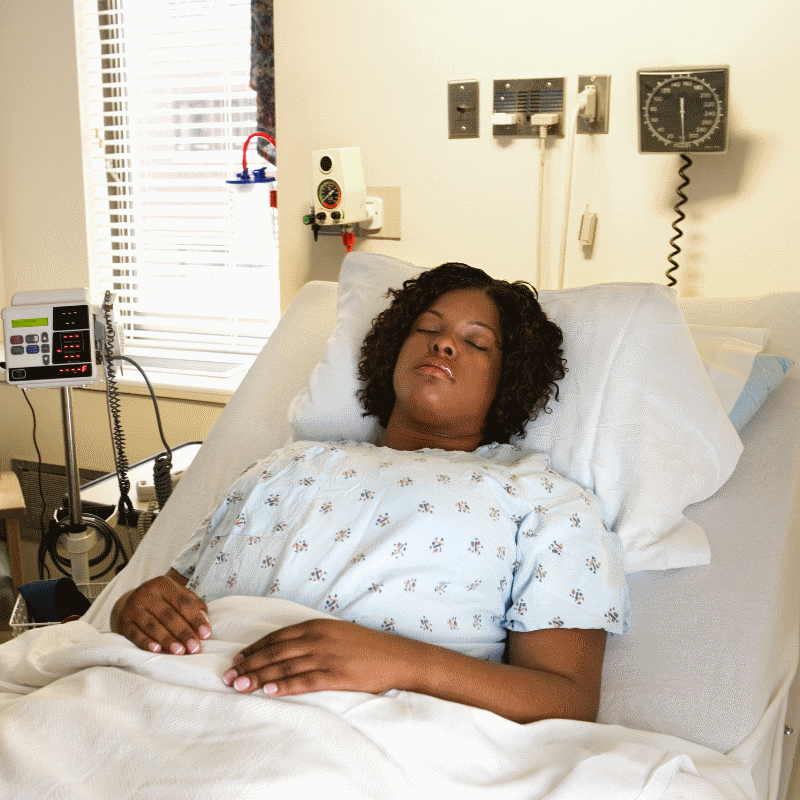 If the bed your patient is using doesn't have a bed alarm, you may want to look into getting them a chair alarm which can also be used while in bed. In extreme cases, it may be recommended to put your patient in restraints. Do not do this unless you are told to do so by a doctor. Usually there is more to these types of situations than just a risk of falling. This is not common practice and should be used as a last resort. I personally hate to see a patient go through such a thing but I'm not a physician so I'm not qualified to make that decision. If you are like me and work in a hospital or similar facility, you should always make sure all of your patients, especially the ones on bedrest, have their call light within reach. Even if it is within reach, make sure they know where it is. I've lost count how many patients have told me they lost their call light but it was right next to them the whole time. This can easily be missed but is extremely important. If there isn't a call light, then there should always, always be someone with the patient. You never know what might happen when your back is turned. Of course you won't be able to be there constantly so you should ask for help. Don't just assume they will stay put if you tell them to. Some patients really struggle dealing with being on bedrest. If they seem to be having a hard time, try to comfort them. It's hard to imagine what it's like staying in one spot for that long until you've done it yourself. Do whatever you can to support them and encourage them to rest. Your patient may be in a lot of pain. You should do your best to make them as comfortable as possible. Other than giving them prescribed pain medication and letting them rest, you can also help by keeping them occupied. Have conversations with them, play a game with them, or simply watch television with them. Whatever they like to do, try to make it happen. This is your time to really be a caring caregiver.